For the second day of Desserts, I have yet another Indian Sweet, made with Rice and Panang Kalkandu. While we mostly use Jaggary for making Sakkarai Pongal, sometimes I have used sugar, Sugar Candy instead of Jaggary. For Aadi Krithigai, this time, the sweet pongal was made using Palm Sugar. When we were thinking of alternate ingredient instead of sugar, we thought of Palm sugar or panang kalkandu. Palm sugar is made from the palmera tree or panai maram. We have been getting this frequently and store it. However as expected, I keep forgetting to use it in regular usage and then all of a sudden remember. So this pongal was a good way of using it. I followed my regular Sakkarai Pongal recipe and the sweetness was fine for others, maybe I would have liked some more. Crush down the palm sugar. Heat 1 cup of water and melt the palm sugar to remove impurities. Then let it cook further for 5 -7 mins in simmer to thicken. Clean and soak rice and dal for 10 mins. Add water and Cardamom powder to the rice and dal, pressure cook for 2 whistles. Once the pressure falls down, add the palm sugar water to the rice. Pressure for another 1 whistle. Heat a pan with 2 tbsp ghee, roast cashew nuts and raisins. Pour on the pongal. Love this sweet pongal recipe. What an amazing and traditional dessert. Good idea creating something new from the tried and tested. Changing the sweetener can change the flavor. 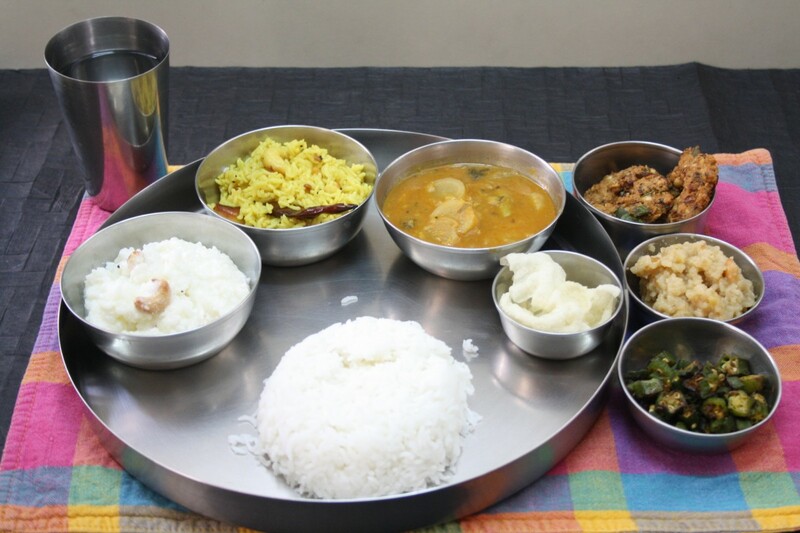 Sakkarai pongal looks inviting.I will try it soon. 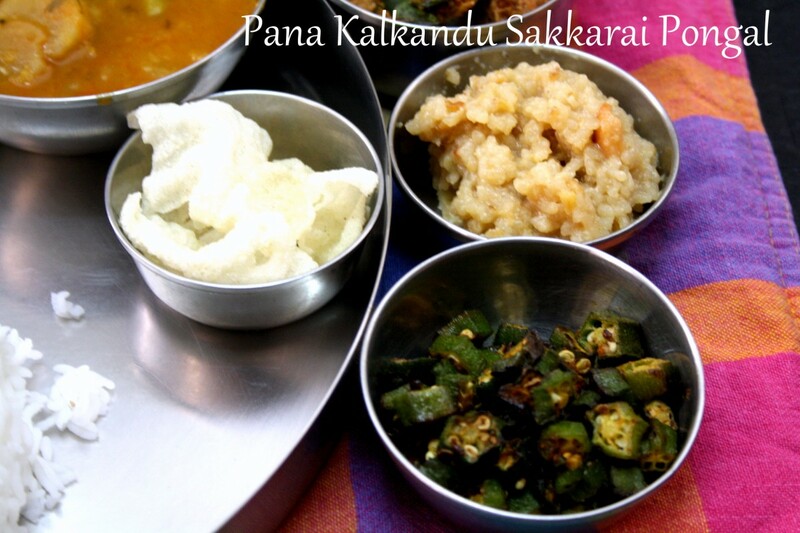 Adding panang kalkandu to the usual sakkarai pongal is definitely an interesting option..loving it.